A few days ago I reviewed the very cute Kawaii Box on my blog (you can read my review here). 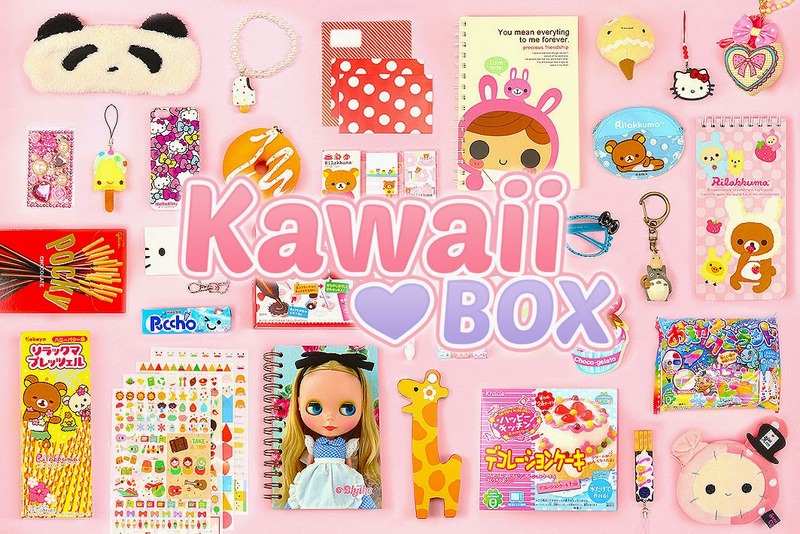 Kawaii Box is the cutest monthly subscription service. Subscribe now and receive a box filled with hand-picked kawaii items from Japan and Korea directly to your home every month. Your box will be shipped in the beginning of each month and the shipping is absolutely free, anywhere on the planet! Each box includes 10-12 cute, original and licensed kawaii items. The lovely people at Kawaii Box have allowed me to run a little competition to give away a box to one of my blog readers. To enter the competition simply complete as many of the steps as you wish on the Rafflecopter form below. A winner will be chosen at random at the end of the competition. The competition is open worldwide so anyone can enter this one. Good Luck. Hello everyone, my name's Ellen and I'm in my mid-thirties and from Somerset. I write about my life and my dogs. I also enjoy entering competitions, reading and spending time with my family. I also review various products. Thanks for visiting. Ellen Stafford. Ethereal theme. Powered by Blogger.